The Actor/Comedian/Writer is best known for his three Netflix specials, Disgraceful (2018), Mostly Stories (2016), and Completely Normal (2014, his hit podcast Your Mom’s House which he co-hosts with his wife, comedian Christina Pazsitzky, was a finalist for Best Comedy Podcast at the Stitcher Awards and profiled by Vice. 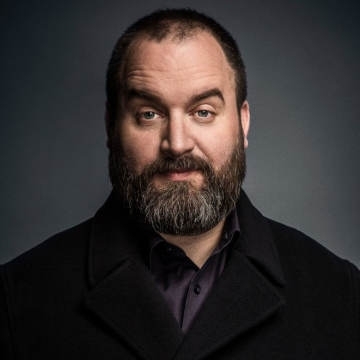 Tom Segura’s television credits include The Late Show with Stephen Colbert, Conan, Workaholics, Happy Endings, The Late Late Show, Comedy Central Presents: Tom Segura, Mash Up, How To Be A Grown Up. He can also be seen in the Paramount feature Instant Family opposite Mark Wahlberg and Rose Byrne. Tom Segura has risen to be one of the top comedy theatre acts in the USA. He also continues to perform at the top comedy festivals in the world, including Montreal’s Just For Laughs Comedy Festival, The Melbourne International Comedy Festival, The Comedy Festival - Las Vegas, The South Beach Comedy Festival, and The Hong Kong Comedy Festival. Tom Segura is originally from Cincinnati, Ohio and currently lives in Los Angeles.